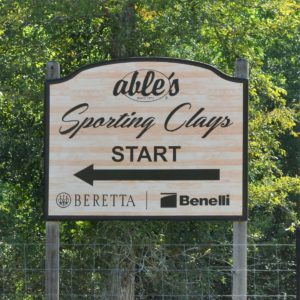 Able Ammo was the Lady Clay Shooters’ first stop on the Tour de Clays. We enjoyed shooting under the canopies of tall pine trees and found ourselves challenged by a variety of shots. Some stations provided short windows of presentations between the trees, while others had rabbits scampering across. No matter what the presentation, our ladies could be heard laughing and cheering for each other! We were delighted to meet new friends and to have people from all over the Houston area join us. When we had completed the 100 target course, we met at Olive Garden to share lunch and some more time together. A special bouquet of yellow roses was given to our youngest shooter, Rebecca Jeffrey. After shooting together, lunch, and adding new contacts to our phones, we made promises to shoot together soon. The Tour de Clays is designed to give you the opportunity to experience what the Houston area has to offer! We consider ourselves very fortunate to live in an area that is home to so many different shooting venues, including but not limited to ranges covered in sprawling oak trees, ponds with an occasional alligator swimming nearby, and heavily wooded pine forests. In the spring we are blessed with beautiful Texas wildflowers, in the summer we can sweat with the best of them, in fall we watch the occasional red leaf drift across the stand, and at times we face blustering winds in the winter. Some of our ranges have been around for a long time. Others are just opening their gates. Some are well groomed, while others are more rustic. 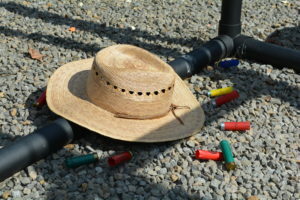 With so much to see and so many targets to shoot, we want to take you on a tour of our area. 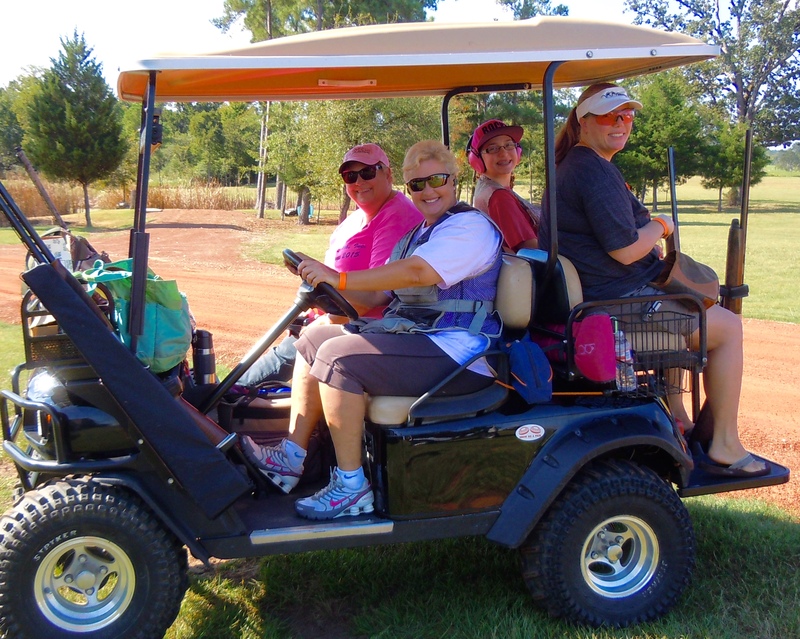 Tour de Clays is all about clays and camaraderie! 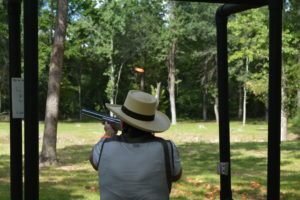 It is an opportunity to see new ranges, meet new friends, and hang-out with fellow lady shooters. Because this is all about you and your shooting experience, we do not keep running scores or hand out awards. It’s about shooting and having fun.